The Talbot Farmers’ Market is held on the third Sunday every month, 9am – 1pm. Held in the village streetscape, like celebrated European markets, Talbot Farmers’ Market supports an evolving display of over 80 stalls of regional produce – seasonal fruit and vegetables, organic produce, bread, cheese, meat, wine, oils, delicacies – plus pigs, chooks, stock feed, cut flowers, plants and seedlings… together with live and local music. Talbot Farmers’ Market began quietly in 2004 as one of the earliest farmers’ markets in regional Victoria – supporting local and regional farmers, growers and artisan food producers. It remains proudly community-based, and continues to draw over 2000 visitors to town each month. Talbot (pop. 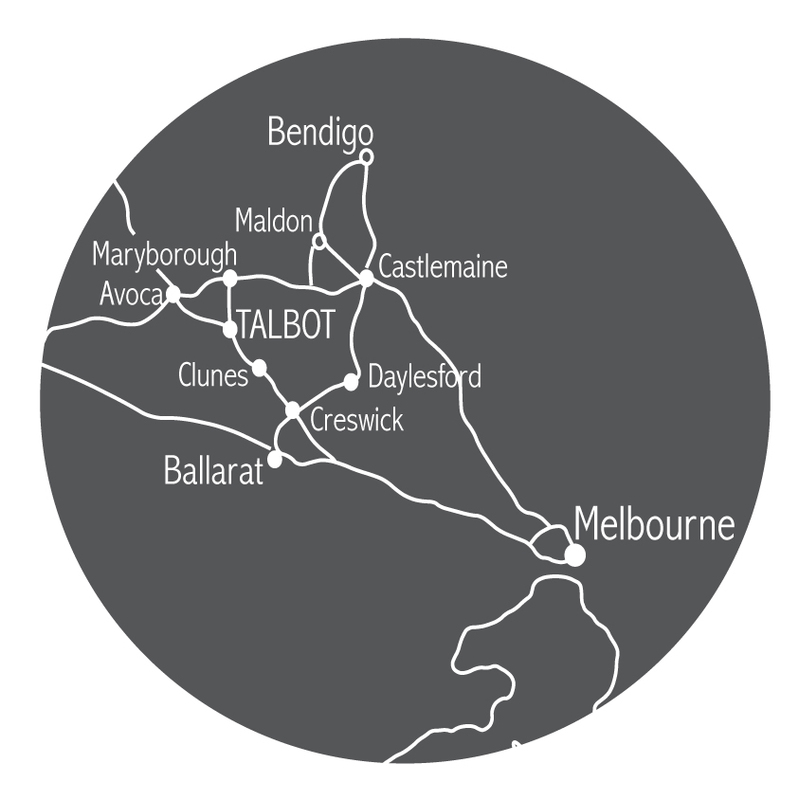 350) is just 40 minutes north of Ballarat, or 90 minutes from Melbourne’s Westgate Bridge. Be early – fresh food sells fast! Drop by the adjacent Town Hall Market, where you can browse and buy the most unexpected treasures.